We were sitting watching telly last night when we heard our letterbox flap squeak as it does when someone pushes junk (and any other) mail though. I went over and grabbed the junk mail flier that had been pushed through and had a quick squizz. 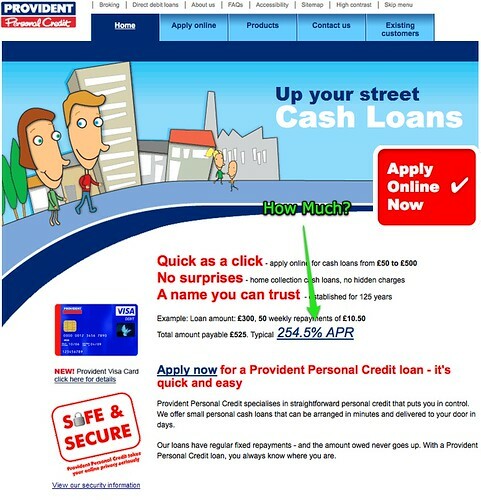 In case you don't see red on light blue very well, it reads a handsome rate of 545.2% APR!!! I understand desperate times call for desperate measures, but this is blatantly ripping people off. 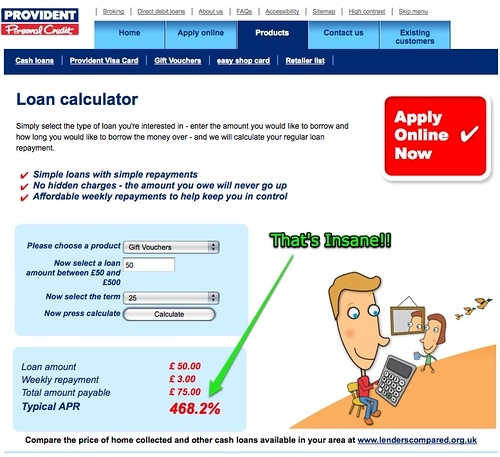 People who can only get loans from these kind of companies really should not be taking any sort of loans out. 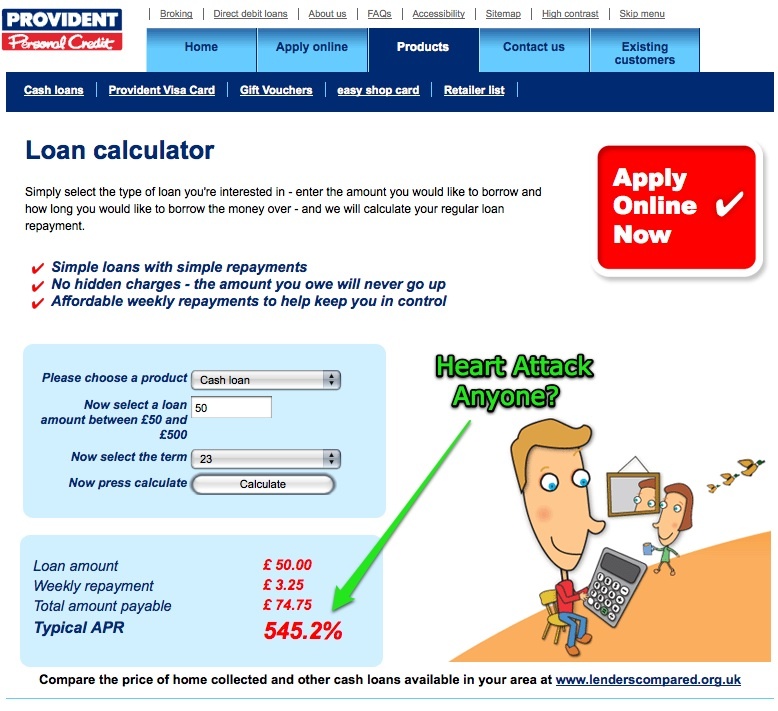 Do APR rates like this not trigger the same kind of alarm bells in those who actually apply for them? Given the fact the company advertise they've been around for 125 years (conveniently round number), I guess not.